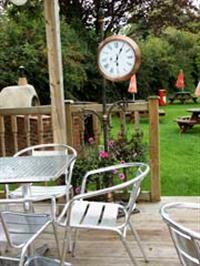 Nestled equidistant between Bath, Bristol and Wells lays The Old Station Inn and Carriage restaurant. The Hotel, originally commissioned for the now closed Hallatrow Railway station was built in the 1920s and is a fine example of the architecture of the period. It was taken over by Neville and Debbie King and their 2 children (Kian and Kadie) in 2008 who have sealed its reputation as one of the very best destination pubs with fine dining the area can boast. With obvious links to the railways it also features an old Pullman carriage as its restaurant, which has been lovingly restored to all its former glory. 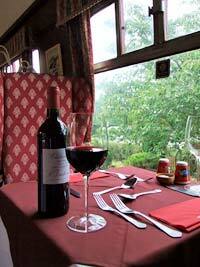 This was modelled on the iconic Royal Scotsman's dining car and is both elegant and welcoming. 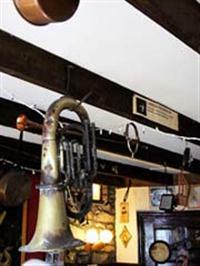 The pub itself is a hive of memorabilia with a seemingly never ending array of bric-a- brac from old wooden skis to half a 2cv car. There is always something new to see, even if it's been your local for years and this Aladdin's cave of treasures from yesteryear are always a talking point. Think 'The Old Curiosity Shop', think eclectic, think imagination run riot - our Pub will always give you something to talk and invariably smile about. 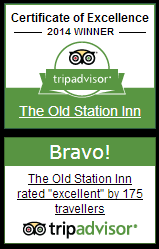 Although there are distinctively 2 different areas, the food quality and the price are the same - more formal if you wish to dine in style a la Orient Express in the carriage or more laid back if you're after fun and the hustle and bustle of the pub. It really just depends on whatever suits your mood or occasion. We have ample parking and a large beer-garden a 5 a side football pitch and a polytunnel for growing some of our own produce regularly featured on our menu. Al Fresco dining with a wood burning stove and barbecue is available in the warmer months and dining under the stars on our deck is a must for the romantic. 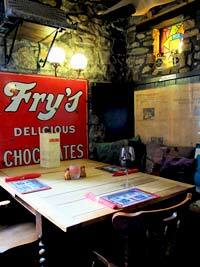 We are open 7 days a week for lunch and dinner - all day on Friday-Saturday and Sundays. 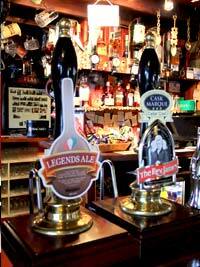 We have been a Brains pub of year 3 years running 2010 - 2012!